T-R FILE PHOTO - The Iowa Valley bond referendum will be on voters’ ballots in 10 counties, including Marshall County, on April 2. After a 2017 mass casualty training at Marshalltown Community College, Iowa Valley leaders realized just how many gaps in security its campuses were susceptible to. 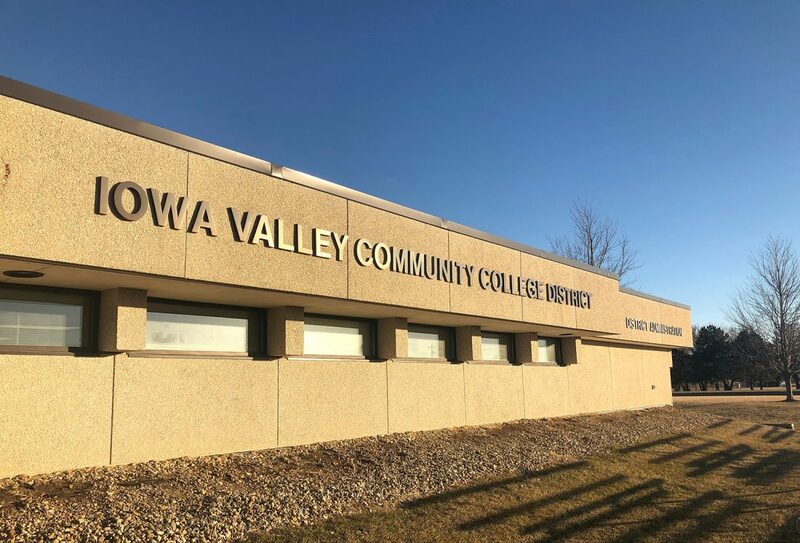 Combined with mounting maintenance needs were the main catalysts behind the upcoming Iowa Valley Community College District bond referendum. District officials are hoping residents in its 10-county area are willing to take on more property tax givings to make improvements across Iowa Valley. The path to get to the election was a long, winding one. The 2017 mass casualty training exercise not only helped sharpen public safety professionals’ methods, it also revealed some key weaknesses in the college’s security. T-R PHOTO BY ADAM SODDERS - It was this mass casualty training at the Marshalltown Community College and Iowa Valley Continuing Education campus in the summer of 2017 that alerted the district to severe security needs. Among the security-related improvements needed was an automated door lock system. That system currently relies on a large number of keys to lock and unlock doors. Lighting and other issues were also identified. 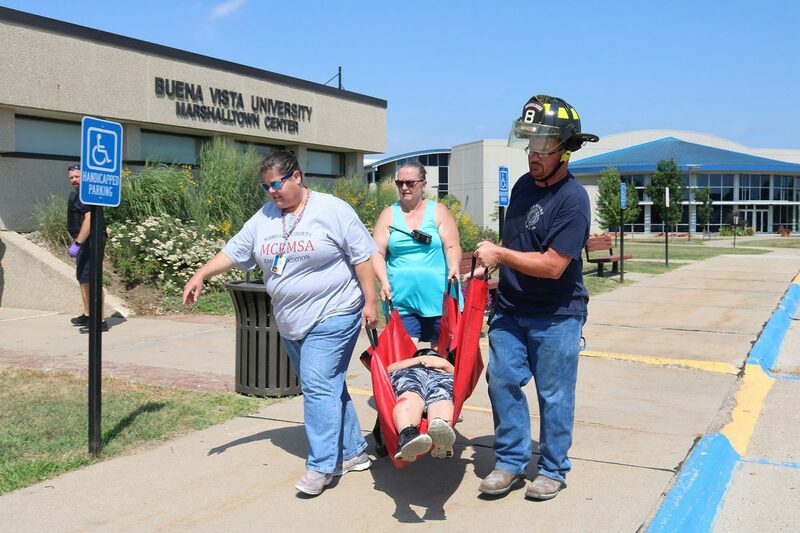 Duree said district officials took what they learned at the Marshalltown mass casualty training up to Ellsworth Community College and down to the Grinnell campus. Areas in need of improvement included security cameras and lighting, lock systems and entryways. Earlier in 2017, district leaders conducted their annual walkthrough at all three campuses. They identified several deferred maintenance needs, fixes that had built up over time and needed to be addressed. Combined with the needed security fixes, it was clear the district was looking at a big investment. T-R FILE PHOTO - The MCC main parking lot was built decades ago and core samples show serious issues. 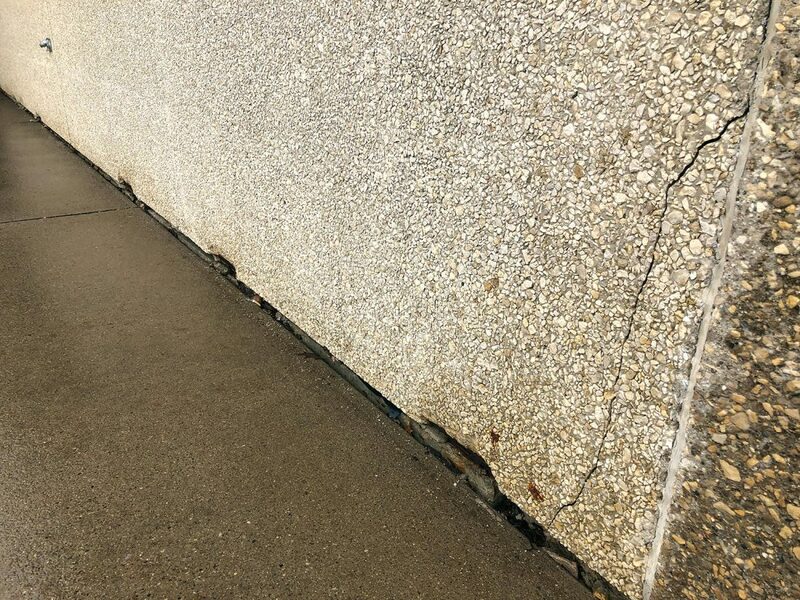 The bond would see it and other parking lots across the district repaired. The list of those areas is extensive. It includes everything from electrical panels to parking lots and HVAC to entire residence halls. The board decided it best to have experts go through all of the facilities operated by the district to see if there was any other work that needed to be done. TSP Inc. of Marshalltown was hired for the task for about $74,600. When TSP added in estimated costs like contingency, inflation and administrative fees, the total asking swelled to $33 million. T-R PHOTO BY ADAM SODDERS - Another example of external work needed is at the Iowa Valley Continuing Education building entrance. And that was the number the Iowa Valley officials landed on when serious talk of a bond referendum began. By November of 2017, the idea was to hold a bond referendum in December of 2018. Iowa Valley hired Victory Enterprises to do public opinion surveys ahead of the intended bond election. By mid-July of 2018, the firm was preparing to do its survey of Iowa Valley’s highest-density area: Marshalltown and Marshall County. Mother Nature had very different plans. “The tornado on July 19 put all of that on hold,” Duree said. The tornado caused the board not only to delay voting at the August meeting on the official bond question to go out to voters, it stalled the entire idea of a bond for a few months. T-R FILE PHOTO - This sidewalk light is one example of fixes needed with MCC’s campus lighting. “We put all of that on hold. 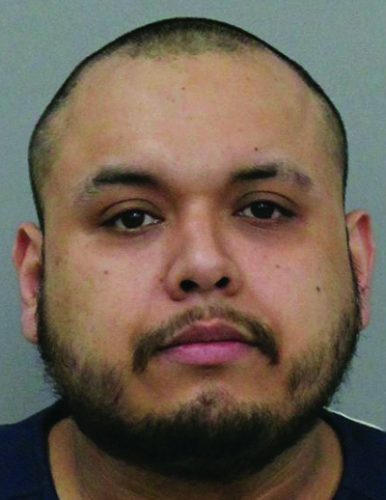 It wasn’t right to move ahead at that point, we didn’t think it was ethical with everything the town was dealing with,” Duree said. 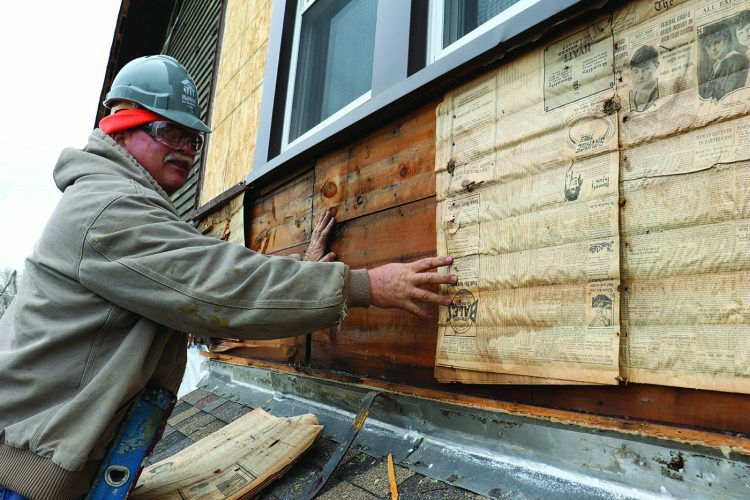 The district, along with the rest of Marshalltown, focused on rebuilding and healing. The IVCCD Orpheum Theater Center and Iowa Valley Continuing Education buildings in downtown Marshalltown had been victims of the storm. However, it was not long before the mounting list of projects came back to the forefront of district leaders’ minds. “So, we got into late fall, we had a couple of projects that we had had in the bond referendum that, in our opinions, couldn’t wait because of the deterioration,” Duree said. The board voted to allocate about $2.5 million from the district’s plant fund, which is responsible for facilities projects, and use the money on some high-priority fixes. Those include window and roof work at Thompson Hall and fixes at Reg Johnson Hall, both at the Ellsworth campus. T-R FILE PHOTO - The Iowa Valley Board of Directors approved the bond election on Feb. 13 after months of planning. A little less than $1 million was kept in the plant fund in case of unforeseen, immediate fixes that could be needed during the year. Meanwhile, the $2.5 million was taken out of the $33 million bond asking. Some of that money was added back in, though, when the district took another comprehensive look at its technology needs. Information technology fixes were estimated at about $1.5 million. “When it was all said and done, our $33 million, we brought it down to $32 million,” Duree said. The stage was set. 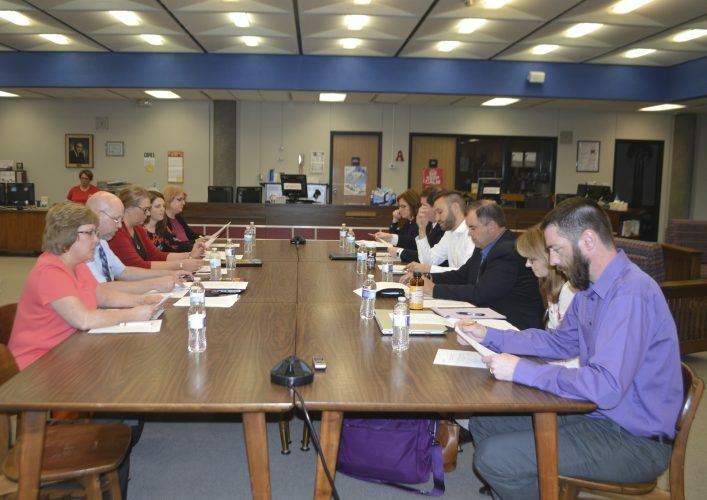 By late 2018, Iowa Valley leaders began talking with community leaders in the district about proceeding with a bond election in 2019. In February, the board approved the bond question to go out to voters. There were three options on the table for the election date: February, April or June. 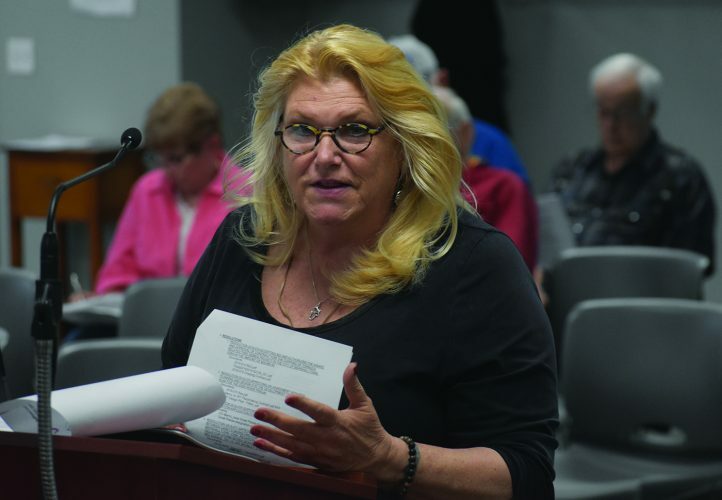 February was determined to be too soon, while a June election would have taken place only days before Duree is set to retire from the district. That left the April 2 date as the only viable option. Public opinion polling in the Marshalltown area resumed in February and Duree said the feedback was favorable for a bond election. He said more than 70 percent of participants had a positive reaction to the idea of the bond. Beyond security, another major push factor for the bond is the general condition of the district’s infrastructure. Marshalltown is set to get about a third of the total maintenance funding in the bond, district CFO Kathy Pink said. “The vast majority of our buildings were built in the late 60s, the 70s and the early 80s, other than the new infrastructure that was added as a result of the 2006 bond referendum,” Duree said. In Marshalltown, one of the premiere projects will be renovations to the B.J. Harrison Library. “We have a library, or as we call it a learning center, that has had nothing done for 30 years and one of the bigger projects on the Marshalltown campus is renovating that whole area and bringing it up to modern-day standards and expectations,” Duree said. Improvements to Marshalltown computer labs and the Dejardin Hall conference center are other local renovations called for in the bond. In addition, Duree said a lot of work needs done on the Marshalltown Community College parking lot. Meanwhile, the Ellsworth campus in Iowa Falls is set to see the majority of the fixes and improvements if the bond passes. “There are dollars in there to refurbish our two oldest resident halls on the Ellsworth campus,” Duree said. New dorm space would be added to the existing residence facilities as well. The district already owns the land needed for the addition. The Ellsworth swimming pool is set to get the axe if the bond goes through. Duree said the facility is far too costly and unpopular to renovate. For the same roughly $1.25 million, the space could be converted to a physical education area for associates of arts students. The anticipated fixes and improvements at Grinnell are not as numerous but they are significant, Duree said. The gunsmith technology program there runs out of a former grocery store building and is in need of security upgrades, including a separate, secure entrance. “In the big scheme of the $32 million referendum, that’s a very small wedge of the pie,” Duree said. While Marshalltown will account for about 35 percent of the bond projects, Pink said about 55 percent will go to Ellsworth Community College. Grinnell and the district’s IT department will split the remaining 10 percent. After several months of work considering the changes recommended by TSP and district administration, Iowa Valley Board President Larry Johnson said the changes are needed, though asking the taxpayers to support a bond is not taken lightly. Retired Emerson Group Vice President Terry Buzbee is heading up a committee to promote the bond and said it is critical voters fill in “yes” when they go to the polls. He said community colleges provide a way for students to gain skills needed by local business and industry. For those students, the skills can also lead to higher wage-earning potential. Buzbee described the community college as an asset to Marshalltown. “People need to recognize that because it’s a huge asset for the community, assets age and we need to reinvest in those assets,” he said. While Ellsworth is set to see the majority of the spending if the bond goes through, Duree said all of the campuses will benefit. “Every campus had full opportunity to have input into what their needs were and a needs assessment,” Pink said. Duree said the money is being split based on need. 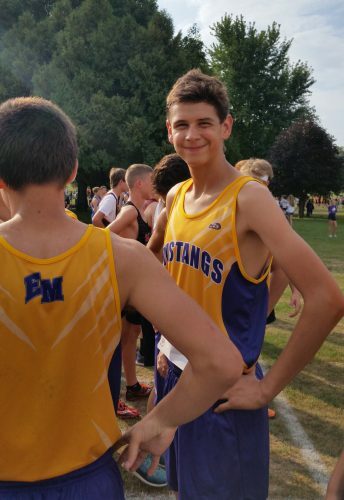 Ellsworth has the most need and therefore would get a bigger piece of the bond money if it gets approved. Additionally, he said the Iowa Valley bond would impact taxpayers less than if it were a more localized form of government, such as a school district. “In our case, being a community college district, a $32 million bond referendum is actually being covered by taxpayers in our entire area, so it delineates that out,” he said. Iowa Valley’s campuses are located in Marshall, Hardin and Poweshiek counties, but the district at large also reaches parts of Tama, Grundy, Jasper, Story, Butler, Franklin and Hamilton counties. If the bond goes through, the resulting property tax increase would be spread among those 10 counties, not just the three where the campuses are. Pink has estimated the bond would increase the FY 2020 tax rate of $0.8841 per $1,000 taxable valuation to about $1.72 per $1,000 in FY 2021. The FY 2022 estimate is $1.66. Over the 10-year bonding period, the owner of a property assessed at $100,000 would pay about $40.52 per year extra to support the bond. At its highest, the post-bond tax rate would still be lower than the college’s tax rate in FY 2017, Pink said. Right now, the money the district gets for projects the bond would cover comes from a plant levy property tax of $0.2025 per $1,000 taxable valuation. That equates to about $1 million per year, not nearly enough to keep up with the mounting fixes and renovations the district needs, Duree said. “We don’t have the luxury of DMACC, who, for example, should never have to pass a bond referendum because of their property tax base,” he said. With its lower population and rural setting, Iowa Valley does not have the property valuations or growth of some other districts. Duree said his basic philosophy since he arrived as chancellor of the district has been to ask himself and his staff, faculty and administrators whether the decision is moral, ethical and legal. A “no” to any of those, he said, would stop the decision from being made. Duree said the bond up for the public’s vote April 2 checks all of those marks. “You don’t do a bond referendum like this, I don’t think, unless you can be accountable for every part of it, and we’ve done everything I know to do to be extremely accountable,” he said. Many Iowans may still have the November 2018 mid-term election fresh in their minds, but the April 2 election will look quite different. No candidates will be vying for voters, who will instead only have one question posed to them: whether or not Iowa Valley be allowed to borrow $32 million for needed repairs, renovations, additions and other work. In-person and mail-in absentee voting are ongoing for the election. The last day mail-in ballots will be sent out by the Marshall County Auditor’s Office is March 22. In-person absentee voting will be open at the Marshall County Annex building, 101 E. Main St., on business days until April 1. Absentee voting at the Annex will be extended to 5 p.m. on March 22 and April 1 as well. Voters can also vote in-person absentee 8 a.m. to 11 a.m. at the Annex Election Day morning. From noon until 8 p.m. on April 2, however, voters will have to cast a ballot at their precinct. • Voters in Marshalltown’s first and second wards will vote at Malloy Hall of the Iowa Veterans Home, 1301 Summit St.
• Voters in Marshalltown’s third and fourth wards will vote at Fisher Community Center, 709 S. Center St.
• Voters living in the Marshalltown Community School District but outside of Marshalltown city limits will also vote at Fisher Community Center. • All voters within the East Marshall district will vote at the Le Grand Community Building, 206 N. Vine St., Le Grand. • All voters living in the Marshall County portion of the GMG school district will vote at the Green Mountain Park Community Building, 101 Woolston St., Green Mountain. • All voters living in the Tama County portion of the GMG school district will vote at the Garwin Community Building, 205 Main St., Garwin. • All voters in the West Marshall district will cast ballots at State Center City Hall, 118 E. Main St., State Center. For more information on the April 2 election, call the Marshall County Auditor’s Office at 641-754-6302. T-R FILE PHOTO – The Iowa Valley bond referendum will be on voters’ ballots in 10 counties, including Marshall County, on April 2. 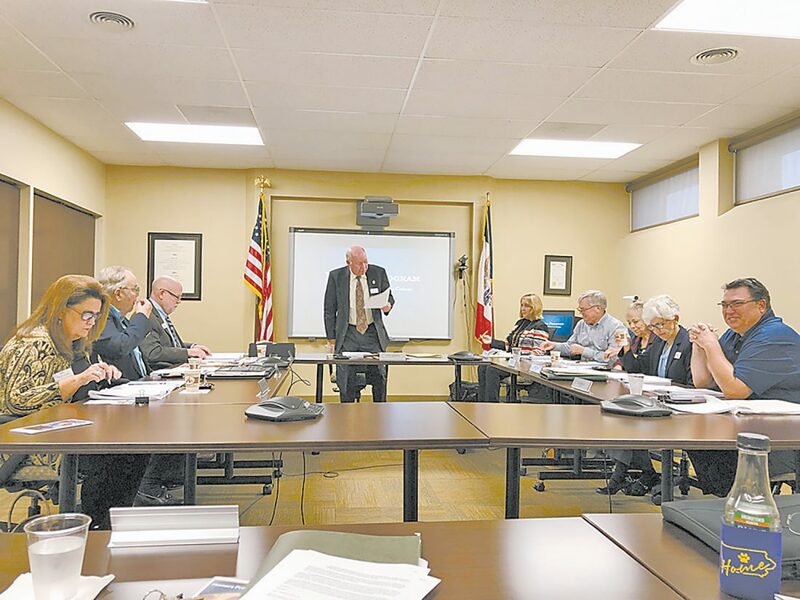 T-R FILE PHOTO – The Iowa Valley Board of Directors approved the bond election on Feb. 13 after months of planning. T-R PHOTO BY ADAM SODDERS – Another example of external work needed is at the Iowa Valley Continuing Education building entrance. 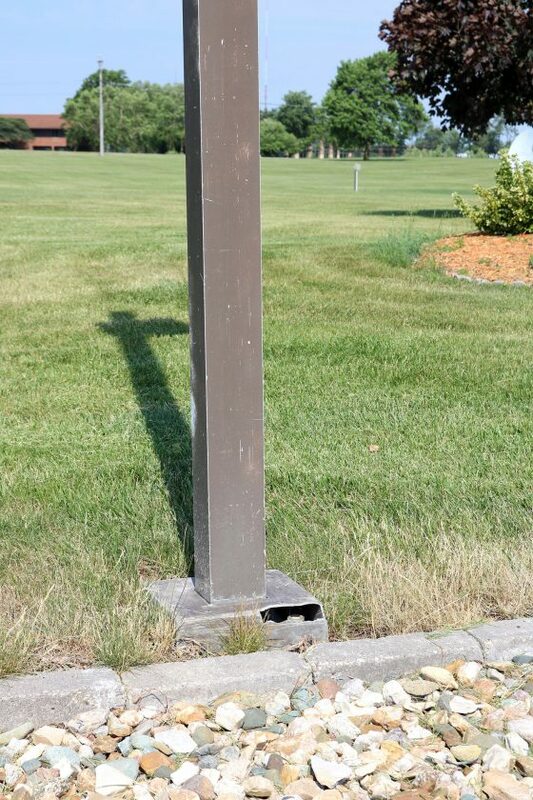 T-R FILE PHOTO – This sidewalk light is one example of fixes needed with MCC’s campus lighting. T-R PHOTO BY ADAM SODDERS – It was this mass casualty training at the Marshalltown Community College and Iowa Valley Continuing Education campus in the summer of 2017 that alerted the district to severe security needs. 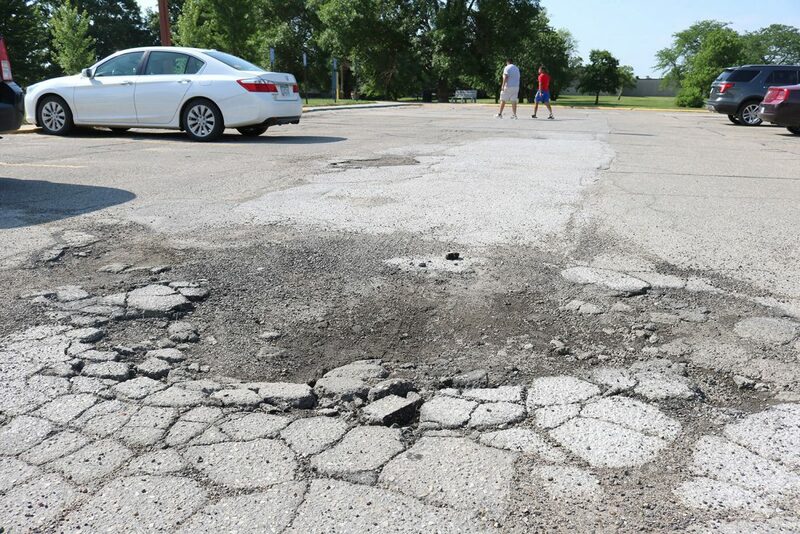 T-R FILE PHOTO – The MCC main parking lot was built decades ago and core samples show serious issues. The bond would see it and other parking lots across the district repaired.